Peggy Collins Photography: 20.12% Off Sale! My Zazzle shop is having a 20.12% off sale today in honor of the coming new year. Just type in the code "2012NEWYEARS" at checkout to get your discount! Here's a picture that I recently added to my shop. 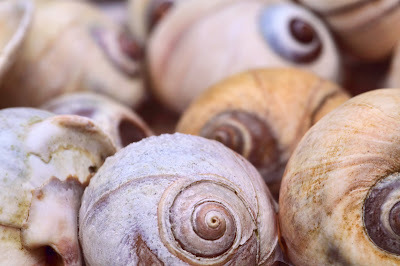 My friend calls them "moon snail" shells. She collected them from the remote beach of the island where she used to live. I love their spiral designs.